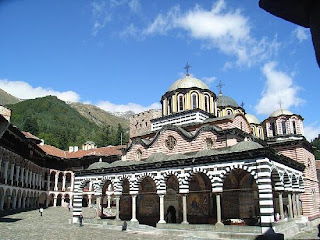 The next stop on my "see all I can of of Eastern Europe in 31 days" is Sofia, Bulgaria. I'm travelling fairly logically... from Turkey I'll travel up the eastern side of Eastern Europe, and down the western side. You'd think this would mean that it was easy to get from country to country. But no. Eastern Europe doesn't really have the same cheap no-frills airlines that are available in the west. Train rides can be upwards of 26 (!!) hours... which is about 20 more hours than I want to spend getting from one city to another. So, I've decided for the most part that I will be flying. It's a more expensive option, but the older I get, the more realistic I am - my time is also worth money, and time is not something I want to waste while travelling. 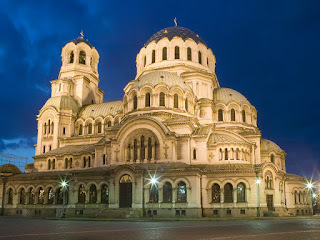 One of the things I'm most looking forward to is the Free Sofia Tour. I first took notice of these free city tours when I was in Edinburgh in 2010... the tours are run (usually) by university students, and there is no cost to participate, although the tour guides do appreciate a tip. I was genuinely impressed with the tour I got in Edinburgh, and tipped about the equivalent of $10 CDN. I think going on these types of tours on the first day you're in a city is the best... then you can plan your attack for the rest of your visit. I'm looking forward to Sofia being one of my "quiet" cities to visit... lots of walking, but not a lot planned! And in case you're counting... the Bulgarian Lev will be my second currency of the trip (well, fourth if you count the Canadian dollar and the Euro while on stopover in Amsterdam). Can you tell multiple currencies are going to be the end of me? I don't have a wallet big enough!! But... more on that later! love your pics!! museums would be a bit boring, but i bet you got to see a ton of amazing things while there!! !